Solar panels on the UC Merced campus. UC Merced Professor Roland Winston will announce a proposed solar research partnership between the states of California and New York at the 2017 UC Solar Research Symposium, to be held Oct. 13 at the California Public Utilities Commission Auditorium in San Francisco. The partnership will promote research and development of solar technologies through collaboration between universities in California and New York once the program is fully funded. With a proposed annual budget of $2 million to be split evenly between the two states, the partnership will focus on the solar industry’s core technologies and address the industry’s main workforce challenges. Emphasis will be placed on finding ways to make solar electric and thermal energy systems cost-competitive with fossil fuels, integrating solar energy system at all scales, making energy grids 100 percent renewable, examining solar energy economics and policy, and training the next generation of solar scientists and entrepreneurs. UC Solar will lead the California end of the partnership, while the University at Buffalo — the largest campus in the State University of New York (SUNY) system — will lead a nine-member group of New York’s top research universities, including: Stony Brook University, Binghamton University, the University at Albany, Alfred State SUNY College of Technology, Rochester Institute of Technology, Clarkson University, Syracuse Center of Excellence for Environmental and Energy Systems, Rensselaer Polytechnic Institute and Columbia University. The announcement of the proposed California-New York collaborative will cap a day filled with research presentations from leading solar scientists, top state policymakers and leading solar entrepreneurs, including opening remarks from Commissioner Clifford Rechtschaffen of the California Public Utilities Commission and a talk from SunPower Founder Richard Swanson. “The symposium is designed to promote public knowledge and explore current and upcoming solar science, technology and trends,” UC Solar Executive Director Ron Durbin said. 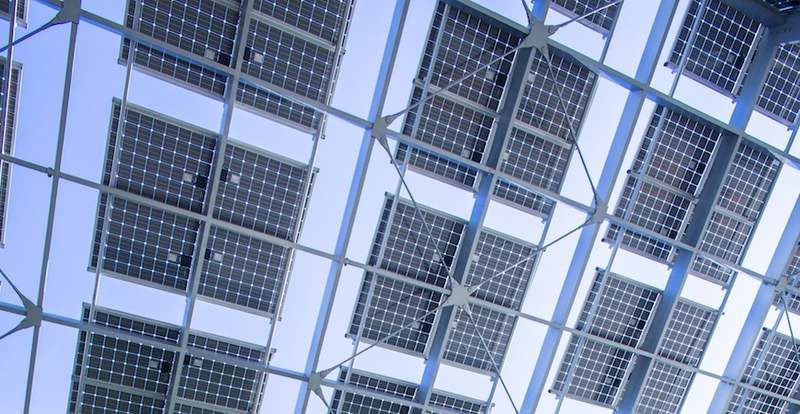 UC Solar is a 10-campus research collaborative launched in 2010, which focuses on applied solar research and developing innovative technologies that make solar energy systems more efficient, more affordable and easier to integrate. The 2017 UC Solar Research Symposium is free and open to the public, but space is limited so interested parties are encouraged to register in advance. A complete list of the day’s events and featured speakers can be found on the 2017 Solar Symposium Website. Questions about the event can be addressed to UC Solar Executive Director Ron Durbin at rdurbin@ucmerced.edu.